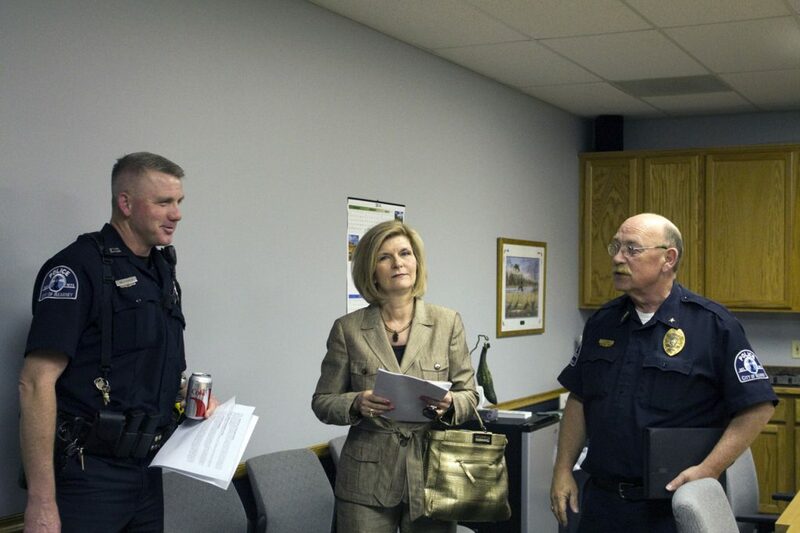 Century 21 Property Manager Alexis McNeal speaks with Chief Lynch and another officer after the meeting. Cruise Nite is a wonderful event for our community, and it has been enjoyed by countless community members and visitors over the years. However, along with the attractions the event brings, it also comes with many challenges for our community. These challenges include all-day drinking activities that carry over into large, crowded yard parties after the day’s events. These parties have created room for violence, injury, and other misconduct happening in front of homes and on the streets and sidewalks. Each year, the events that take place after Cruise Nite ends garner more attention than the event itself, as things grow more and more concerning. With these issues in mind, Positive Pressure, in conjunction with Century 21 Property Manager Alexis McNeal and Kearney Chief of Police Dan Lynch, sent a letter to all landlords, property managers, and homeowners with properties along 25th Street. Included in the letter was an invitation to a collaborative meeting aimed at bringing everyone together to work towards a solution and reduce the damaging effects of Cruise Nite afterparties on property and on the community. 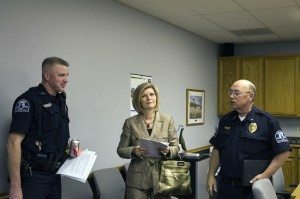 The meeting proved to be a success, with many interested landlords, property managers, and homeowners in attendance, along with law enforcement and Cruise Nite representatives. Many great ideas and possible solutions were generated. The group plans to meet again for a more in-depth meeting to discuss the issues and possible solutions, and to extend an invitation to property managers and homeowners from 23rd, 24th, and 26th Streets. We look forward to sharing some of the ways we plan to reduce the negative effects of the parties and large crowds that gather after Cruise Nite has ended. In addition, Community Partners wants to extend a huge thank you to everyone who participated and is interested in taking a stand to make Cruise Nite a better night!